Shelter #1 is directly behind the playground. #2 is closest to the beach bathhouse. 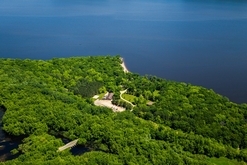 #3 sites behind #2 and closest to the A area camp sites. The shelters are day use facilities (8 a.m. to 10 p.m.). Half day or full day rental available on weekends. Half day options are (8 a.m. to 2:30 p.m. or 3 p.m. to 10 p.m.). A potable water source is located between the three shelters. 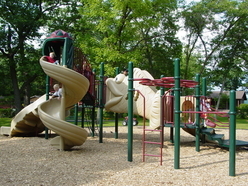 Parking lot, playground, Lake Pepin beach, horseshoes, volleyball and basketball courts are located near the shelters. Be sure to bring water toys, swim suit and lots of energy.